One of the simplest and most effective ways to start trading is to learn to trade price action. Price action Trading or PAT relies solely on the actual price of any given market. There are no indicators on your charts. 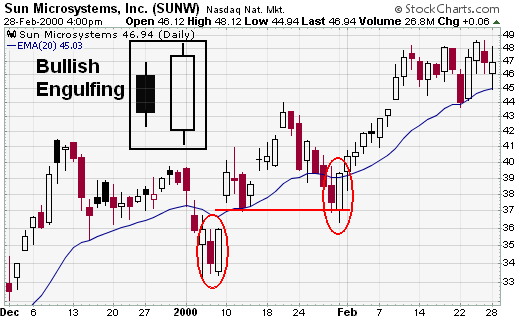 Not even simple moving averages. Instead of using any such indicators, you will speculate price movement by the current and recent price, occasionally trend lines and simple candle stick formations. We don’t use technical indicators when trading price action because any indication of price movement using these indicators relies on past prices. As we are only concerned with the actual current price and direction when trading price action, these indicators become redundant. The actual price movement itself is all we will be relying on. The price doesn’t lie. You can easily use the free charts on yahoo to trade price action, they are more than adequate for this type of trading. If you traded the price action and managed to achieve a 50% strike rate you could safely assume that you could make consistent profits. Also, by placing a stop at 100 points and only take a profit at 200 points and above means that you are taking odds of 2/1 in your favour every time you trade. So using the above statistics conservatively, you place 100 bets and 50 lose, but you win 2 x more than you can lose with your other 50 winning bets. The edge and the odds are in your favour, giving you have a positive returns. As said, PAT is very easy to do, there is nothing complicated about trading the price action. Here’s a good example of how simple and effective this strategy can be. Looking at this chart of the GBP/JPY we can see that the recent trend is down. We can also see that the price has been making higher highs over the recent shorter term. 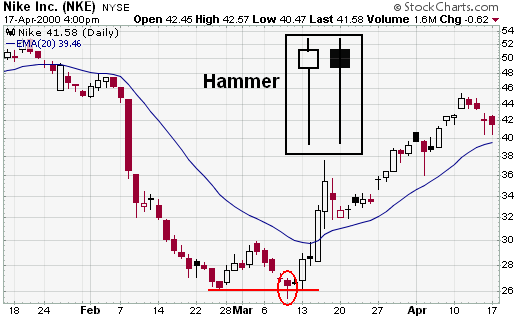 You can also see that the very last candle has rebounded from the resistance line and formed an inverted hammer candle. If I were trading on this information I’d expect the price to move down from this recent resistance and resume its downward trend. As you can see from this next chart this is what happened. These charts all have a similar pattern and price action movement after reaching support or resistance lines and forming certain candle patterns. Now even though I was correct at predicting this price movement, another trader that sees the exact same chart may take a completely different view of direction. This trader may have decided that the price was going to rebound. It is important that when you are trading price action that you rely on your judgment and blank out other opinions. Price action trading can also be used on falling prices just as effectively. 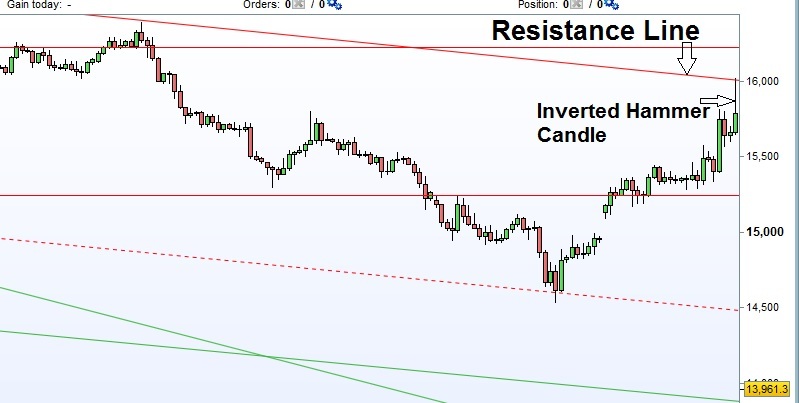 You can trade price action charts by trading candle set up patterns very easily. 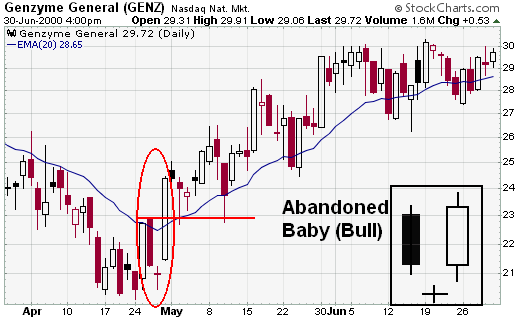 There are many candle formations that people use, but the ones I have found to be most reliable are these. These candle formations often spell a reverse of direction and can be very useful when trading our 4 hour candles. 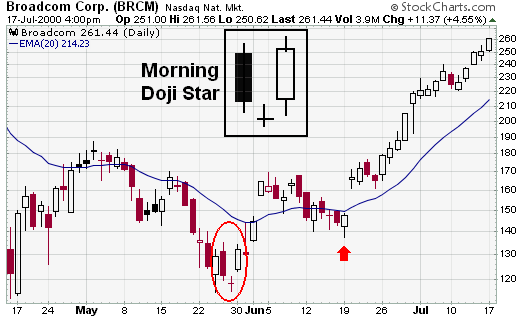 I find the doji and the hammer are awesome chart signals. There are some other useful factors to consider in depth when trading price action. I have found the minimum time frame on the charts that creates the most reliable consistency is the 4 hour charts. If you are using fixed odds to trade then you will use the higher/lower bet and trade in 4hr increments. So 4,8,12. 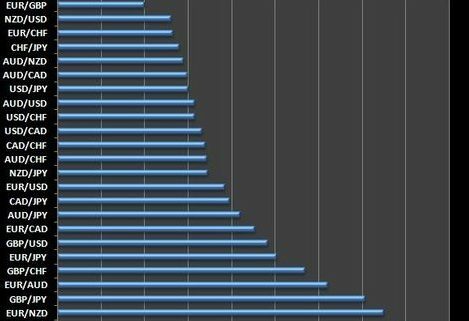 I find I am using 8 hours more than others. The thing is, with fixed odds higher/lower bets you are right or wrong. There is no middle ground. So the longer the time frame you use the more chance you have for a result. Once you are wrong you are wrong. But if things are going really slow and the price is moving sideways you have more time for things to move in your favour. Thats why it’s better to use longer time frame candles like 4 hour. You have a greater chance or a better edge. The ten minute candle is very thin in width; the 4 hour candle is much thicker. All of a sudden someone decide to put a ton of gold on the thin 10 minute candle. The candle just can’t handle the weight and it crumbles and gets pushed away. Now this same someone puts another ton of gold on the 4 hour candle. But because the candle is so much thicker it doesn’t crumble away to nothing. It may move very slightly but it stays stable. This is essentially what is happening to the candles on your charts. The smaller the time frame the less buying or selling [weight] the candles can withstand, hence faster and more erratic price movements. Far too often, new traders try to trade all different pairs, indices, stocks. DON’T. Slow down and stick to trading the same few. You will over the years become an expert at looking at that one particular pair for example. Some charts that I look at and I’m trading you can read like a book. you just get a feel for them. Like you find yourself saying “yes the price does that, it’s OK, I’ve seen it before”. You know what to expect and this one element of trading can make all the difference to your success. In fact since I started developing a day trading system I have concentrated on a single currency pair to trade. The results improved. You might be thinking that it’s going to be a boring old journey trading just the one chart for the next 10 years and beyond. Well that’s trading, it’s boring. If you want excitement go play roulette. You will have the chance to trade other opportunities, of course. But understand that it’s better to become a master price action trader using one stock, currency pair or indices and make money consistently over time than it is to trade anything that moves and make far less… and more importantly learn to trade far slower. Some things are easier to trade. Some currency pairs, stock and indices are actually easier to trade than others. 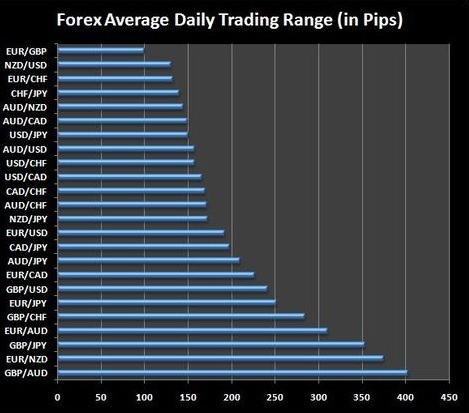 Here are the easiest currency pairs to trade listed by daily range in ticks. You can also try trading the DAX as this can regularly through up some great trading opportunities. Also, if you do your homework you’ll find certain stocks perform really well for price action trading. Paddy Power is a great place to start. If you have been reading the blog for any amount of time you’ll know that I preach to you about how slowly overtime is the best way to make profit’s. It is again the same with price action trading. Trade once a day with a slight edge in your favour, compound your profits and over time you will increase your wealth. You can read one of the most repetitive books ever written here. OK i may be having a dig at the style of the book, it is very repetitive, but I seriously remembered the lessons taught. So much so that it is on that fact alone that the book is worth it’s weight. As mentioned briefly at the beginning of this post, with this type of trading you will benefit from setting targets and stop losses. If your target profit is 200 ticks then your stop loss should be a maximum of 100 ticks. Using the above criteria you are firmly dictating that the odds on any trade will always be 2/1 in your favour. This essential also reduces the strike rate needed to be profitable. You will often find however that your stop loss will be far less than 100 ticks. If you look at this gold chart you can see that the stop loss can be set at the resistance line at the very end of the current movement 1256.6 [around 45 ticks] as your entry is around 1261 even though your upside is a potential 200 ticks. That’s a great edge. The reason that you use a profit target trading the price action is that it makes it [price action trading] completely mechanical. You are not going to let profits run here. You have no need to panic over where to take profits if the price starts to move back against you. You have set rules and these are in place to try and make trading more profitable and less emotional over time. 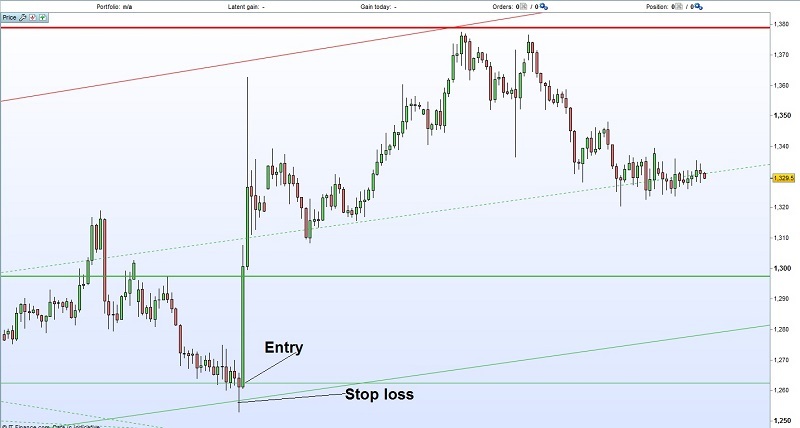 You can trade the price action by spreadbetting the position and setting stops and targets as explained above, or you can place simple fixed odds bets on a daily/weekly basis. Each have there own pros and cons, simplicity is fixed odds and greater profits [at least in the beginning] is spread betting. How often can you trade? You are not going to trade everyday. That’s all there is to it whilst you are starting out and trading a single currency for example. You have to be patient and wait for the signals and entry points. Or else you’re just plain gambling. The opportunity to trade is not going to be clear every day. Even though the opportunity to trade is there every day. When in any doubt as to what way you think the market is going to go, leave it out for the day. Only trade when you are sure. Don’t look for what isn’t there. Identify the current trend direction.